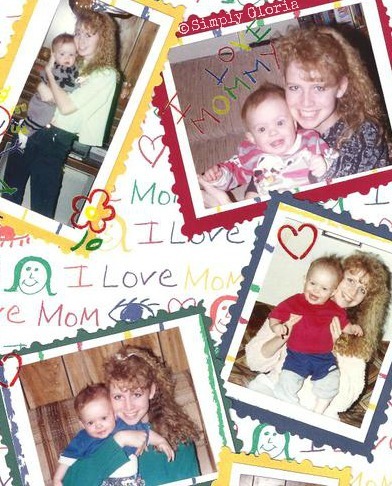 I want to share with you what Mother’s Day means to me. This day, all of the mothers, daughters and sisters are being celebrated and loved by all the special ones in their lives. It’s a celebrated day, for all mothers who love and nurture their children, small or all grown-up. It’s a special love that a mother can have so deep inside of her heart. I am celebrating being the momma to my 3 sons. I’ve always believed, that I will forever be their mom. Even when they are parents of their own children. Motherhood does not expire. The love for your children also never expires. All through these 22 years since first becoming a mother, I strive to be the best that I can be. I feel I have always been a “mother” deep down inside, even when I was much younger. I’m the oldest of six children. All born within 7 years. I always took care of all of them when we were so very young. Including everything a mother would (or should) do …I did. But, I no longer celebrate this day with the mother I once had as a young girl. And haven’t for a very long time. I had a mother until I was 14 years old. I made the very hard, but yet oddly, easy decision– to have her no longer in my life after I became an adult. While choosing to have a happy, joyful and loving life ahead, as a mother myself… I decided to make the decision to be rid of the poison that was continually trying to always seep in. I am thankful that I have a heart and it bursts with endless love for my sons. I can not fathom any other way. I’ve witnessed it many times with other women (that are no longer in my life), they ultimately do not have the love for their child. I simply believe that by having eggs, it does not necessarily make a woman a mother. There comes responsibility and endless amounts of love to share and give this precious life to. Whether the child is by blood or not. Nobody is perfect. Nor is any mother perfect. But love is the biggest thing we mothers can give to our children. The very first day I remember of learning I was going to become a mother for the very first time, I was 16 1/2 yrs old. It was very surreal. I became the mother of my sweet first born. I was raising my son with five other children in the home while our father/mother was never home. It wasn’t until I was “old enough” by law, to rent an apartment at the age of 18. So, while I was raising my own son, I still continued to mother my siblings that were still living at home. 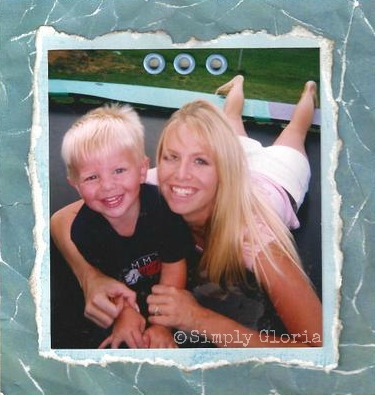 I became a mother a second time years later, to my second sweet son. More years later, I was blessed with another son. My third sweet son. My 3 sons give me the up most joy and happiness. I know through all the years of my many challenges and experiences…I’ve always known what it’s like to feel the love for a child that is endless. And, purely from the heart. What an amazing post. First, that you are estranged from your mother; and that you mothered your 5 younger siblings (6 kids in 7 yrs…I CANNOT imagine that! ); and that you then went on to have your own first child at age 16, while taking care of the younger siblings. You have spent your entire life mothering many kids, Gloria, and it’s just a gift you have given to all these kids/siblings and makes me have even more respect for you! Wow! And the pic of you on the trampoline and on the stairs…you are beautiful! And look so young! 🙂 And you have gorgeous hair. Random but true! You crack me up, Averie! I always love your “randoms”! Thank you for coming over to say such sweet words! Gloria, your post has truly moved me to tears and I feel honored that you have shared your deeply personal story with us. You are beautiful and loving proof that challenge and adversity can be harnessed and turned into a lifetime of love and all things wonderful. You boys are all as handsome as you are gorgeous and I know they are very, very fortunate to have you as their “Momma” – as we are to know you! Happy Mother’s Day, my friend! Huge hugs to you! Cindy Eikenberg recently posted…Last Minute Gift for Mom – Wreath Jewelry Holder! Cindy, you are so kind. I know I tell you this all the time…but you always make me smile! I hope you enjoyed your special day, too! You are such a strong woman Gloria! Proud of you. Your heart is full of love despite all the ups and downs you have seen yourself. Lucky sons you have.. to belong to a Momma with a heart of GOLD. 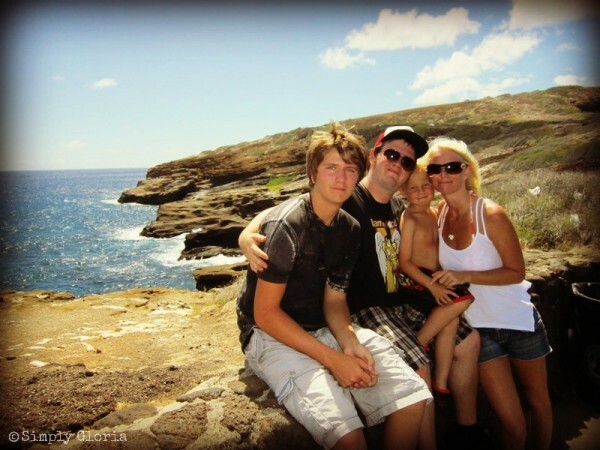 Love the pictures…your sons are adorable. and you are gorgeous…through and through! While she’s away it means more work for me. I will be glad to have her back! My boys are grown men. I love them today like it was 20 some years ago. And don’t get me started on the 4 grand kids! “Melt” is the word that describes me when they are here. I grew up actually making a list of how I wanted to be different than my mother. I have tried to always let my love for my boys guide my actions. The reward: a great relationship with two fine young men that actually choose to spend Fridays nights laughing around the dinner table. I, like you chose to not let my mother’s unhappiness seep into my life. No regrets. Julie, you have truly touched my heart. I was the same way with a list! And, I agree with letting our love for our boys guide us. We, as mothers now, get to make that choice. We WANT to be the best that we can be! And, all we want is happiness and love with and FOR our boys…simple as that! Thank you, Julie! I hope you had a most wonderful Mother’s Day! p.s. I can’t wait for grandchildren! I’m going to be the gramma that just smother’s them with so much love they won’t know what to do! Anne, thank you for coming over and taking the time to read. Hugs! Thank you for sharing your story with us. I’m sincerely touched (and will admit a bit misty eyed). It is not easy for someone to make difficult life choices, to take that hardship, and turn it into something positive so kudos to you! Your family is very lucky to have you. I’m so close with my parents and 3 younger sisters and I wish you the same joy and happiness that they bring to me. I hope you had the best Mother’s Day! I did had the best Mother’s Day on Sunday! Just being surrounded by all my boys make me the happiest mom ever! Means a lot to me for you to come over and leave your sweet and kind words. Thank you, Tina!! just discovered you and enjoying your site. so curious, after raising your siblings-are you close to them? P.S. I am actually working on a post for this up coming Mother’s Day about how much I am involved in my siblings children (nieces and nephews). Over half of them are being raised by someone else (and/or the state)… and not by my siblings. Thank you again. Thanks for sharing. You were and are a strong person at any age. Your family is beautiful. Thanks for sharing your recipes!! !